It’s January and that means it’s time to kick off another Tournament of Books competition. The folks over at The Morning News have been running this beauty pageant of books for 12 years. No matter if you agree with the final winner or not, I guarantee the conversation is worth following. 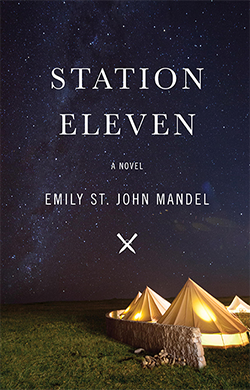 Last year Station Eleven took home the top prize (which I thought was a great read). You can read last year’s Championship Matchup’s play-by-play here. Now that you see how it went down, click over and read the long list of “players” on the roster for this year’s contest. There are 86 works of fiction in the 2016 Tournament of Books. Quite a few books you’d expect to be there, but there are even more that never popped up on my radar last year. I’ve already added three titles to my “be on the lookout for” list. How many of the 86 have you already read? Anything on there you’d recommend? You can keep up with the contest by following The Morning News on Twitter or by watching this category/archive thread on their site. The brackets and schedule will be published soon enough as folks start trash taking and picking the faves. The official Man Booker Prize Long List came out this week. A few names are new to me and certainly many, of the 13 authors, I don’t know. 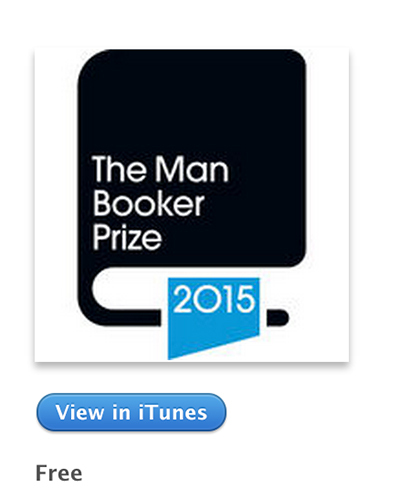 And just like previous years, the 2015 Man Booker podcast has launched and it’s off to a GREAT start. You can get the Man Booker podcast on iTunes or you can listen on your computer via Soundcloud. This is one of my favorite podcasts and like good locally grown food – it’s only available one season of the year. So subscribe and check out what’s going on as there are only a few episodes put together each award season. The first full episode was fun and hops around a lot. They chat about the prize, what it’s like being a judge, as well as a “man on the street” segment where they went to a local bookstore in the U.K. to catch a midnight release party of Harper Lee’s Go Set a Watchman. It was pretty neat to hear how folks ‘across the pond’ regard Lee’s new book as well as To Kill a Mockingbird. This episode was like popping around a room during a dinner party where every grouping of people is discussing some aspect of books and publishing. The Prize and the Man Booker podcast as gotten a lot more fun since the prize has gone global and is open to authors of any nationality. For much of the Man Booker Prize history it was only open to authors from the British Commonwealth & interests. So check it out and get caught up as the BIG announcement of the winner will be made October 13, 2015. Do you pay attention to the Man Booker Prize? Go Set a Watchman is out and in the hands of readers around the globe. It’s been interesting to see how people respond to the story in the book, but it’s been absolutely fascinating watching how people respond to the story of the book itself. Harper Lee wrote Go Set a Watchman first back in the 1950’s. Her editor said something like ‘I’m more interested in the backstory’. So Harper Lee wrote the prequel which became To Kill a Mockingbird published in 1960. I’m not sure Lee ever expected Go Set a Watchman to ever be published. Taking this path to life into account and realizing how books are written the folks at Quartz ran both books through their computers to compare the texts to see if there were any similarities. What author wouldn’t take awesome passages from a finished manuscript and re-use them in a newer, updated book of another title? Especially if they never thought the original had a shot of seeing the light of day. You can click through and read the passages that Lee and her editor copied over verbatim and where the revisions are. What is interesting is that all of the ones Quartz shares appear later in To Kill a Mockingbird than they do in Go Set a Watchman. You begin to get a sense of how Lee constructs each story when you realize that so many descriptive and background passages appear up front on the newly released book, but appear much later in the earlier released novel. It sheds some light on what the priorities of each book are. Honestly, I was surprised there isn’t more recycling going on. Harper Lee truly did the work and created a new book back in the 1950’s. Harper Lee’s new book is already a huge success commercially and people will be debating its authenticity and providence for years to come (so many conspiracy theories!). But no matter how you feel about Atticus and Scout, this one (and any future books – conspiracy alert!) is a wonderful and rare look at Harper Lee’s methods for readers, researchers and students of storytelling. 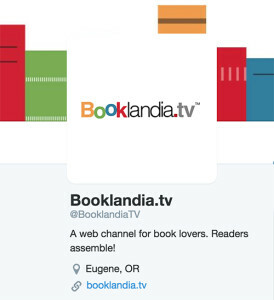 The online book world just got a little more fun thanks to the launch of Booklandia.tv. This site is a bit of a social experiment and a bit of classroom project as the videos are produced by 20 University of Oregon journalism students. Booklandia.tv launched in April 2015 and has 23 videos posted so far and all of them focus on books, authors and readers. The site seems to be going for a more social-share vibe rather than straight up journalism. I think there may only be one or two videos over two minutes in length. So it’s definitely designed to snack on and share. I can already tell that one of my favorite segments will #JudgeItByTheCover bit where they stop a passerby and ask them what they think the book is about based solely on the front cover. It’s pretty fun. There is also the What’s on Your Nightstand, where they chat with folks out on the street, Q&A’s with authors and even a kids segment called Kid’s Corner. The “About” tab says they have a partnership with Powell’s, but I can’t figure out exactly. It’s been fun skimming through the videos. They also have a direct YouTube page and are @BooklandiaTV on Twitter as well. So if you’re hungry for some snack-sized book content to watch check out Booklandia.tv. I can tell it’s only going to get better and more creative.